Have you ever pondered on life, death, and what lies beyond our perception of reality? In The Wild Eternal, you will constantly question the nature of these complex concepts. Published and developed by the independent video game studio, Ilsanjo, the game requires you to put on your thinking cap to not only complete it but also understand it. The maps are designed to make the player get lost. While that is the case, every path they take will eventually lead to the one they’re looking for. 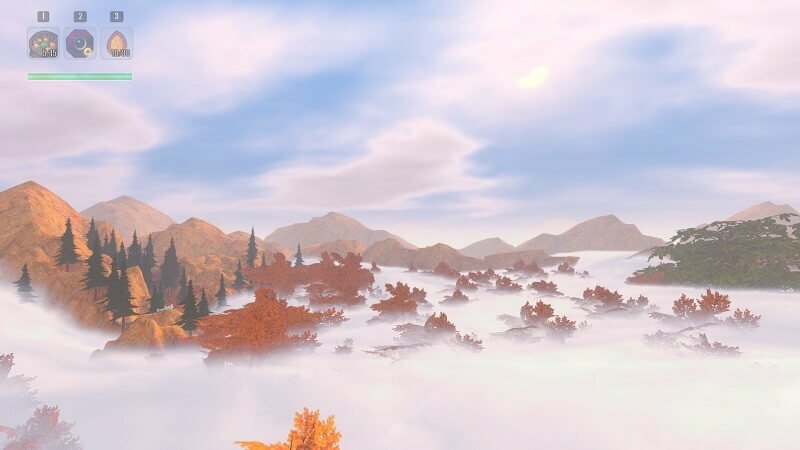 Not only does this concept of map creation relate to the game’s deeper meaning, but it also makes for an immersive gameplay experience that requires a player’s full attention to ensure their success. The Wild Eternal centers around an old woman named Anata, a mother of two violent sons until recently passing away in the real world. She is transported by the Avatar of Death – a celestial being that “controls” her cycle of rebirth – to a spiritual world where she must discover whether or not her life is worth being resurrected for. Every step she takes in her journey brings her closer to–and occasionally further from–the answer she seeks. 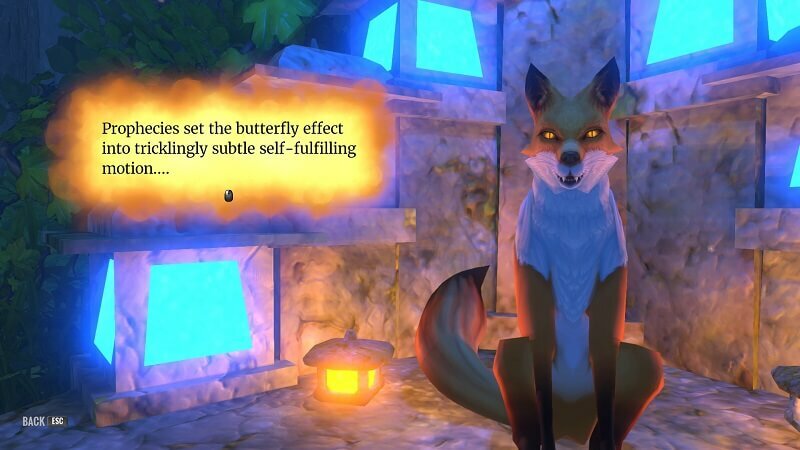 In the beginning, Anata meets an elusive fox named Dyhoniso–or as he’s/she’s also called, the Avatar of Dreams–a being that appears to want to assist her in her journey but secretly has ulterior motives. Regardless, he becomes her guide through this world of spirits and dreams, while also providing players with important questions relative not only to Anata but to human existence in general. For example, Anata has trouble coming to grips with the life she lived, the decisions she made during her time with her children. She blames herself for her two sons taking up the warrior lifestyle, saying that if she didn’t spank them then they would have embraced a less violent trade. She constantly questions her past, leaving her stuck in it; unable to move forward and die in peace. The story is one of the aspects of The Wild Eternal that I loved. Firstly, every piece of dialogue was well-written to suit the game’s overarching themes of life and death. My only issue with the dialogue was its monotone style. There were some situations–like at the end of the game–that, in my opinion, required a more pronounced voice. The writing will use an exclamation point, yet the voice will have the same emotionless tone to it. Maybe this was something the creators did on purpose, as to show Anata’s apathy for her past life; even though, deep down, like the game as a whole, there is plenty of emotion keeping her grounded to the memories of her past. Either way, I still feel like that there should’ve been a distinct voice to accompany the sometimes emotional dialogue. Secondly, the notes, journals, books. etc. are placed perfectly throughout the maps of the game. What I mean by this is that the information in each piece of text the player reads usually relates to Anata’s current situation, also reflecting how she’s feeling at that point in the game. In these text’s appropriate placement around the maps, there was, in turn, a “purgatory” vibe to the environment. For example, Anata tries to escape the cycle of rebirth in this “purgatory,” yet the writings she finds only slow the process down, reminding her of the life she lived. Not to mention that these texts were just as well-written as the dialogue and provided more insight into this mysterious world that Anata is traveling in. Ilsanjo also made it easier to read these notes by having Anata chime in to summarize certain areas. This aspect of the writing made for an easier read, so to not drag the player down with reading as much as playing the actual game. The environment in which you traverse is an exceptional example of how a series of different maps can come together to represent more than just the world that they make up; The Wild Eternal as a whole is characterized by the complexity of its maps. As I mentioned in the first paragraph, the game is designed for players who pay attention to their surroundings. If a player doesn’t have a keen sense of geography, then they’ll get lost (at least once) while figuring out where to go. 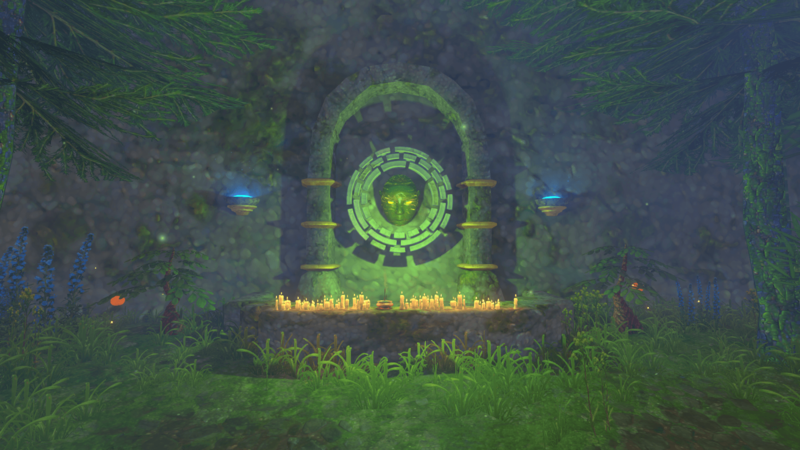 Every path that a player takes will eventually lead to the intended destination though, even moreso in the last map, The Hollow Stones, where Anata must find her way through a maze of caverns so that she can finally escape the cycle of rebirth. The maps represent the cycle of life and death, the themes that The Wild Eternal circulates around, by showing players that every path they take will lead to the same destination. In life, in death, one’s fate is sealed. Anata is no exception. A powerful message from such a small game. The emotionally driven dialogue and text are both made better with the excellent soundtrack composed by Jonas Kjellberg. The sounds are relaxing, yet evoke a poignant response when paired with the dialogue–especially the words of Dyhoniso. His/her statements are moving, and the soundtrack only helps convey the mysterious Fox’s message as the player progresses through the game. The Wild Eternal is a laid-back title with a story-driven narrative meant to immerse players in the world without using violence. A player won’t even have the opportunity to wield a weapon. Now that I think of it, there were two points during my playthrough where Anata comes across a sword. When I interacted with the sword, Anata said that any problem could be solved without the use of violence. 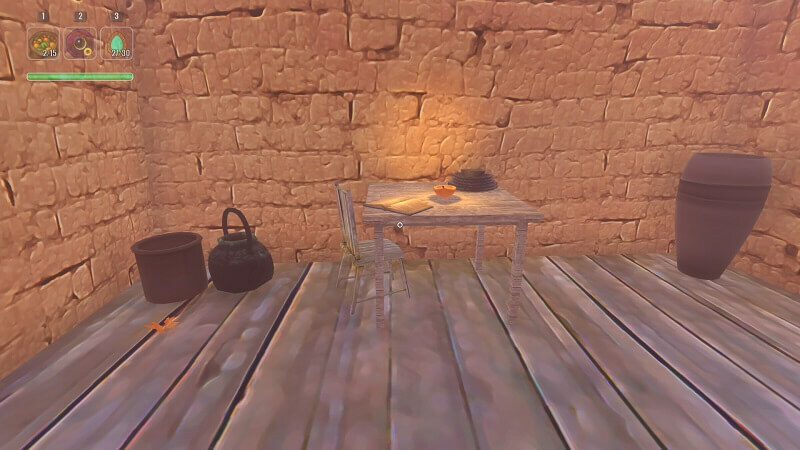 Instead, players are left with three tools to explore the world with: a compass, a diya, and fruit. All the tools have their basic functions but can also be used for different purposes as well, which I thought was a nice touch. For example, the fruit can be thrown to the various animals, evoking a response from them that can only mean “I like you” (there’ll be a heart above their head when this happens). The animals themselves added a unique feel to the game. There are predatory animals–like tigers, lions, and snakes–and docile ones–like rats, vultures, elephants, turtles, and the weird looking pogostags–that Anata comes across while exploring her surroundings. 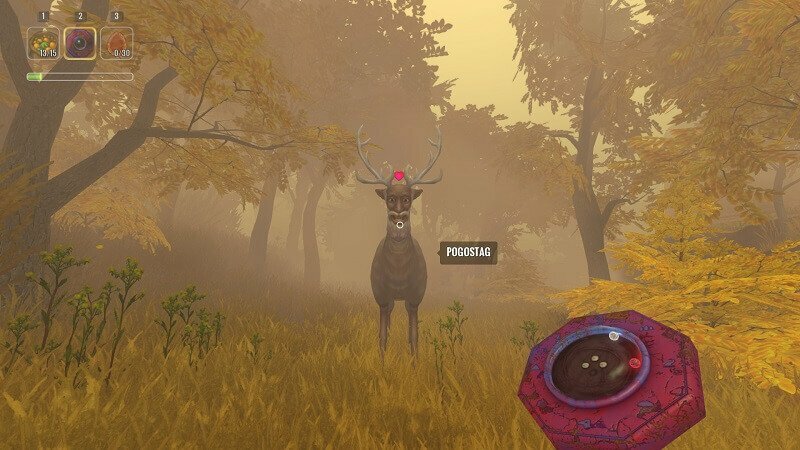 What I loved about the inclusion of these animals was that it added an element of the game left up to the player to explore. Finding out how to get the docile animals to “love” me wasn’t as easy as a task as I wished it to be. On the other hand, there was something about not having a weapon to help defend me against the predatory animals that gave me the chills. The fact that I was left to my own devices to survive made these experiences more thrilling than if I was able to wield one of those swords and fight back. Yet, I even came to find that the predatory animals have their soft spots too. Just be careful; dying has its consequences. When Anata dies in any way, she loses all of her gear and is respawned somewhere nearby her place of death. Players can retrieve their items where they died (much like Dark Souls), but that requires them to find their way back using the geography as markers. I liked that The Wild Eternal punished me for dying. The game forced me to use the environment as a guide when finding my lost gear, which in turn demanded I pay attention to my surroundings so that I: A. don’t get lost in the future, and, B. know where to go if and when I die. My only real complaint about The Wild Eternal is the FPS rate. I have an Alienware gaming laptop. It may not be the best setup when it comes to PC gaming, but it can run games like Rise of the Tomb Raider and Overwatch at a consistent 60 FPS. Yet, while playing The Wild Eternal, I was stuck at a solid 40 FPS throughout the whole game. Not terrible. But for a game of that size and quality, I feel like the frame rate should be up to 60. I’m not saying the graphics were bad, for they were perfectly suited and quite beautiful, but I know for a fact that they weren’t as demanding as the graphics in Rise of the Tomb Raider. I enjoyed this title and recommend it to anyone who likes a game that requires patience and a little exploration. Players may find that they are getting lost more than they are doing anything else, but I think that’s partially the game’s intention. After all, in order to be found, one has to be lost. The music was composed to the beat of the story, which made the emotionally driven gameplay much more engaging. The story in of itself is worth the purchase because it explores a lot of complicated concepts that people don’t give enough time for their brain to truly understand. In the end, though, this is a game that can also be considered a lesson. Dyhoniso shows players how concepts like the meaning of life, death, and the afterlife can be misunderstood due to their intricate nature. Yet, as one will slowly realize while exploring the spiritual world of The Wild Eternal, the more that they search for meaning, the more likely they’re going to find it. But… finding that meaning will almost always lead to more questions. Play this game; you’ll see what I’m talking about. 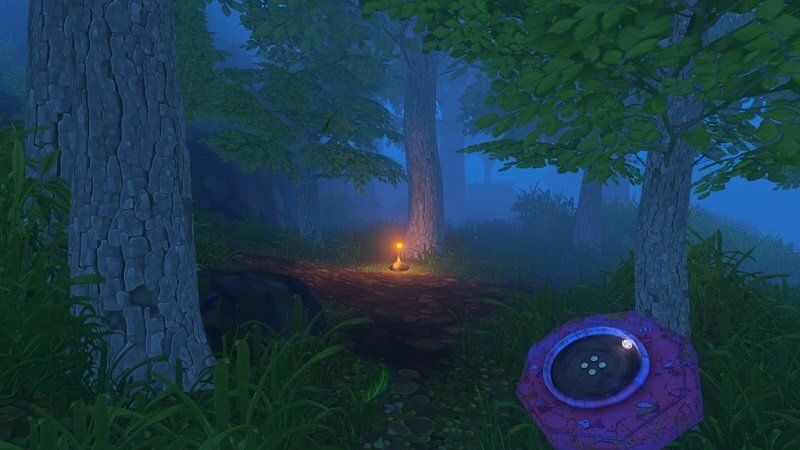 Verdict: The Wild Eternal blends a puzzling adventure with the philosophical questions surrounding the concepts of life, death, and the afterlife in a unique and engaging fashion. The story is well-written, yet the voice acting could have been more engrossing in regards to the emotional nature of the dialogue. A trivial issue when comparing it to the indie title’s other successes in the soundtrack, map layouts, and relaxing gameplay. The Wild Eternal is a first person, adventure/exploration video game developed by Ilsanjo for Microsoft PCs. The story is comprised of profound lessons while balancing a gameplay that is relaxing yet demanding on a player's memory.